Win an all-expense Paid trip to Omu Resort This Independence. 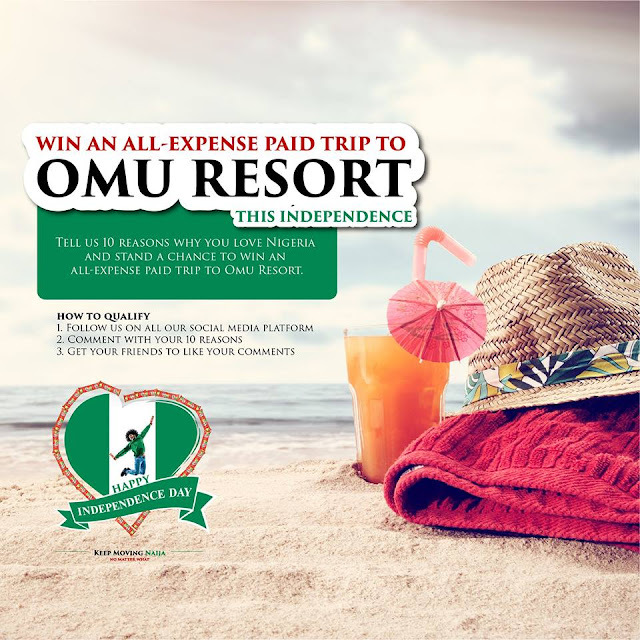 Tell us 10 reasons why you love Nigeria and stand a chance to win an all-expense paid trip with two friends to Omu Resort. Campaign ends on Thursday 4th of October , 2018.